AIMS stores a wide array of spatial datasets for Johnson County, from aerial imagery to water valves. If there is some type of spatial feature inside Johnson County, AIMS probably has it cataloged in a database. You can view and acquire attribute information for a majority of our datasets through the Johnson County Online Mapping application. If you are interested in a dataset that you may not have been able to find on our site, or if you have an idea for a new one please don't hesitate to call and speak with the Mapper of the Day (913-715-1600) about it. More information about accessing AIMS data is in the various sections below (click each section to expand it). AIMS offers a variety of datasets, available for download in shapefile, DWG and XML formats, free of charge. This includes data such as bike routes, parks and trails, school districts, major roads, FEMA flood and environmental data sets. AIMS Server Services AIMS produces several ArcGIS Server services that are available for download and use, free of charge. These web services can be viewed using ArcMap, ArcGIS Explorer, ArcGIS.com or Google Earth. They can be included in web applications or viewed in an ArcMap session. 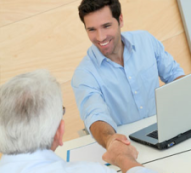 Data Partner licensing is a method for users to obtain digital data from the AIMS program at a reduced price. In return, the data partner is asked to share data back to AIMS. 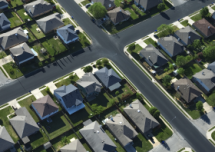 The data available for licensing includes property, planimetrics, contours, orthophotography, historical imagery, street centerlines, city boundaries, census, subdivision and plat boundaries. See Data Prices for a complete list of licensable data and associated costs. 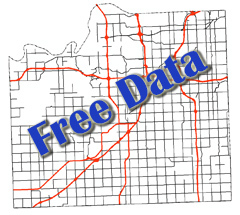 For more information on becoming a data partner, please contact the Mapper of the Day at mapper@jocogov.org or 913-715-1600. The County retains ownership of the licensed data, therefore the licensee is not allowed to transfer the license or sell or share the data with others, such as subcontractors, without prior approval from the County. In the case of subcontractors, the AIMS Department must be notified in writing, on company letterhead, of the name of the outside agency, contact names and numbers, the area desired, and a statement claiming that the data will only be used for this project and will be removed upon completion. The licensee would not be allowed to reproduce or use the data for solicitation, or the creation of hard copy products to be sold to others. There are three categories of data partners depending on the type of organization - Government, Utility and Miscellaneous. View the complete Data Partner list to see a directory of current data partners. Miscellaneous Business - Organizations that request data on an as-needed basis for user-specified extents, such as engineering, title and real estate companies. Miscellaneous data partners can access digital data through the Digital Data Request application (DDR). Usernames and passwords will be given to access DDR. Users are required to sign in to receive price discounts for the data. A record is kept of all conversion requests and can be viewed through DDR. Conversion formats include DXF, DWG, DGN, Shape (vector) and TIF and MR. SID (raster). Government and Utility - Organizations that need data for a specific, non-changing extent, such as school districts, cities, and utilities. License fees vary, according to the type and amount of data requested. Frequency of data updates and access is dependent upon the licensee. Minimum fee of $300 is required. A license Agreement will then be drafted by the County’s Legal Department and reviewed and approved by the members of the System Management Committee (SMC), which consists of the County Appraiser, County Treasurer, and County Clerk. The Agreements will then be approved by the AIMS Director and mailed to you for your representative’s approval and signature. This process usually takes 2-4 weeks. For government licensees the license would be in effect for a period of one year, beginning on the date the agreement is signed by your agencies representative, the license may be renewed each year thereafter; a renewal notice will be sent to the licensee approximately two months prior to the expiration date of the license. For miscellaneous business licensees, the licensee will remain in effect until written notice of termination is provided to the licensee or AIMS. 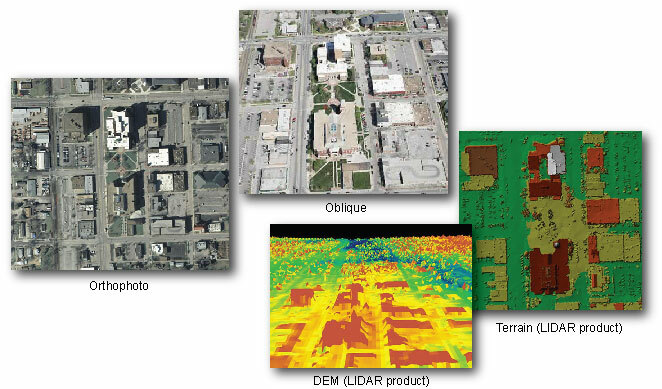 List the specific types of data you wish to license, i.e., property, planimetrics/topo, aerials, etc. List the types of data you would be willing to share with AIMS. Describe what type of business you are and explain what type of projects the company intends to use the data for.